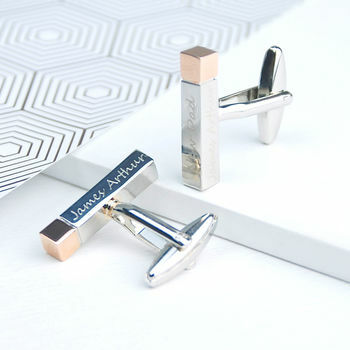 Striking New Daddy Bar Cufflinks in a wonderful highly polished silver finish with rose gold tipped ends, ready to personalise with your choice of messages. Looking for something different for a new Dad? 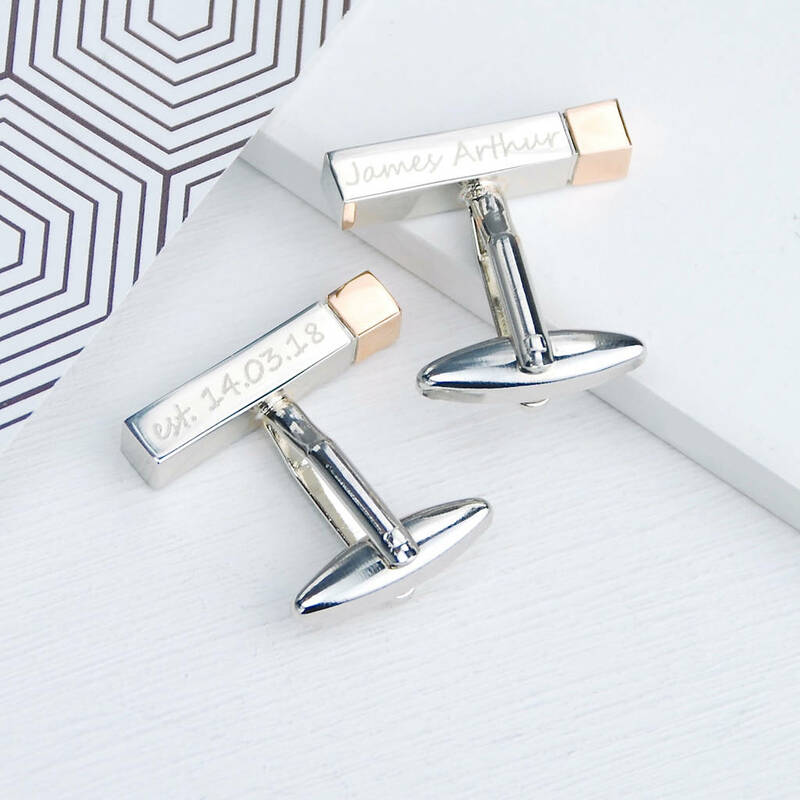 These unusual New Daddy Bar Cufflinks are designed to look beautiful and to be deeply personal. 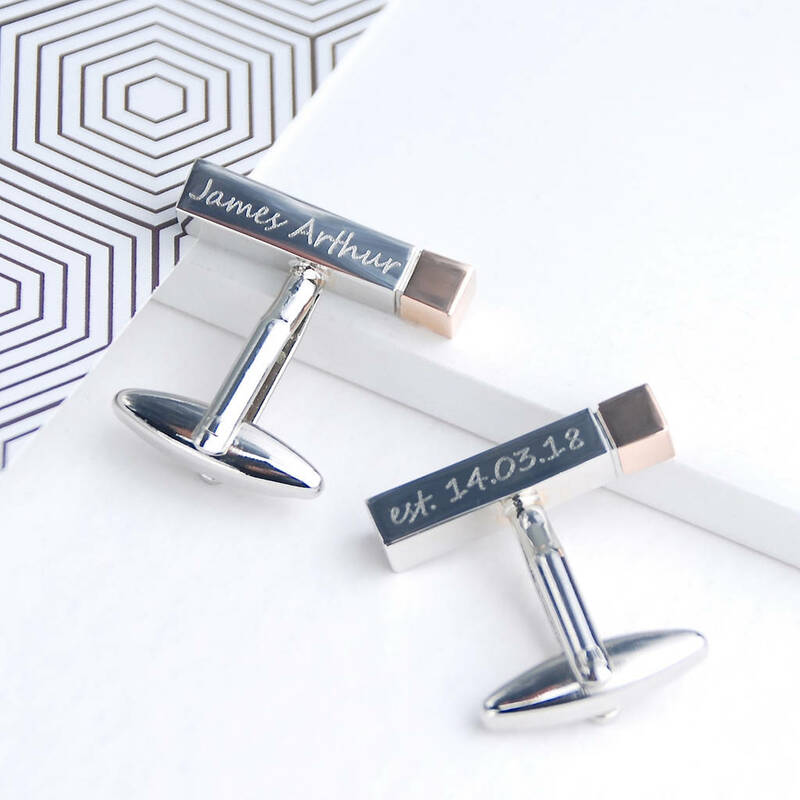 A fabulous memento gift for anyone celebrating a new birth, each cufflink has three surfaces on which to engrave your very own message. 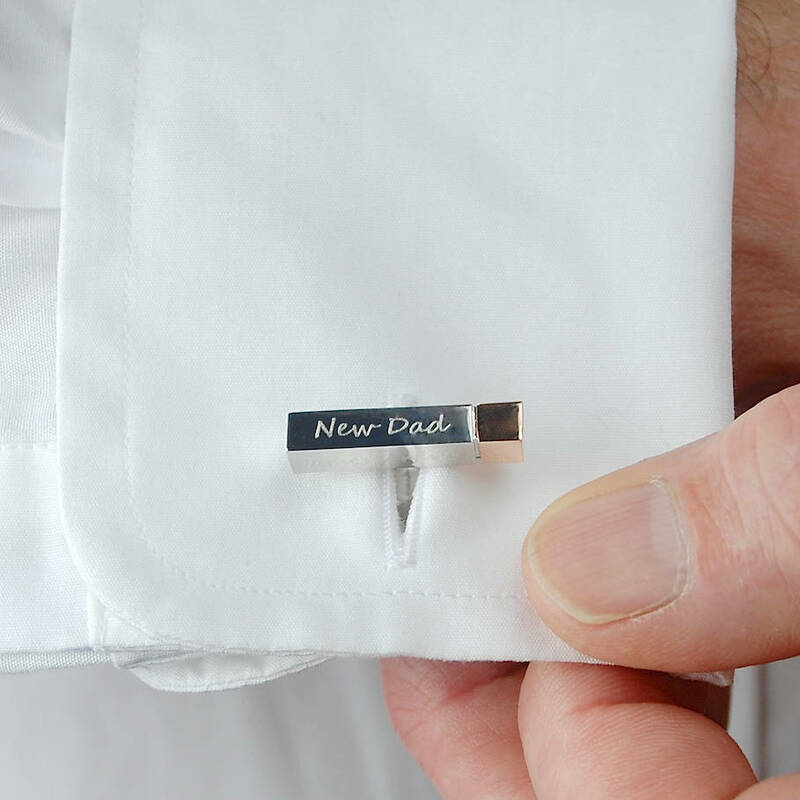 Our personalised Dad cufflinks could feature the name of the Dad, the date of birth of the child and the words "New Dad" or any other words of your choice. 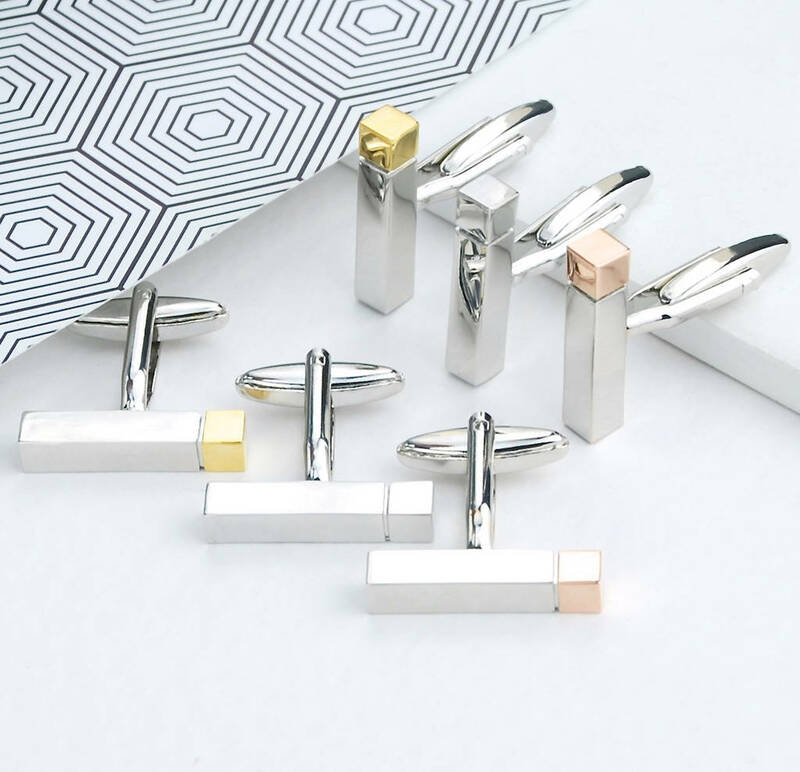 Available in a choice of finishes being silver with rose gold tips, silver with yellow gold tips or silver with silver tips. 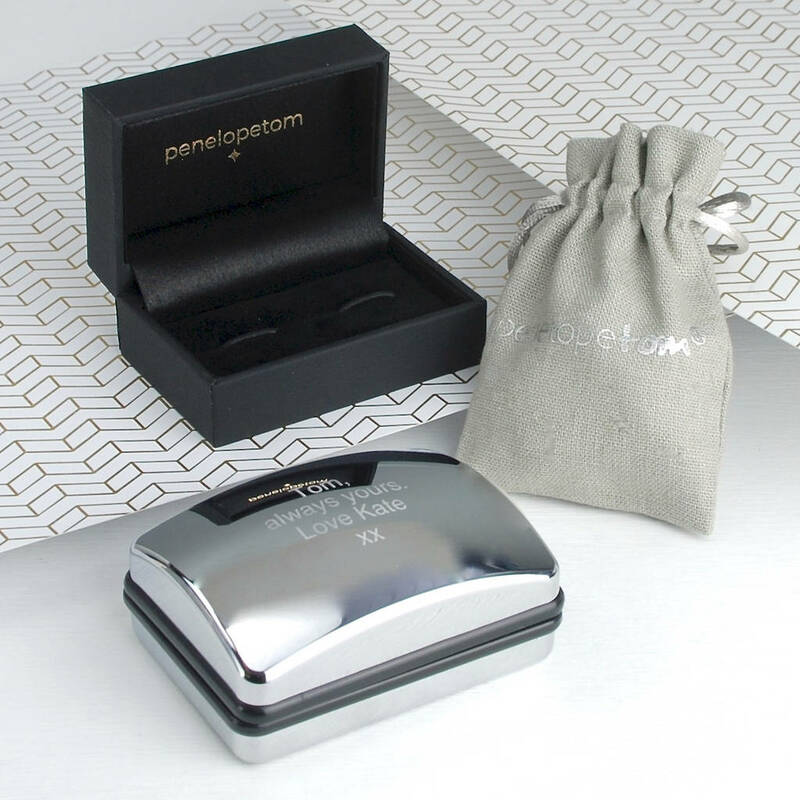 The cufflinks are presented beautifully wrapped in crisp white tissue paper in a contemporary linen travel pouch or you can chose to upgrade to choice of personalised Penelopetom gift boxes. 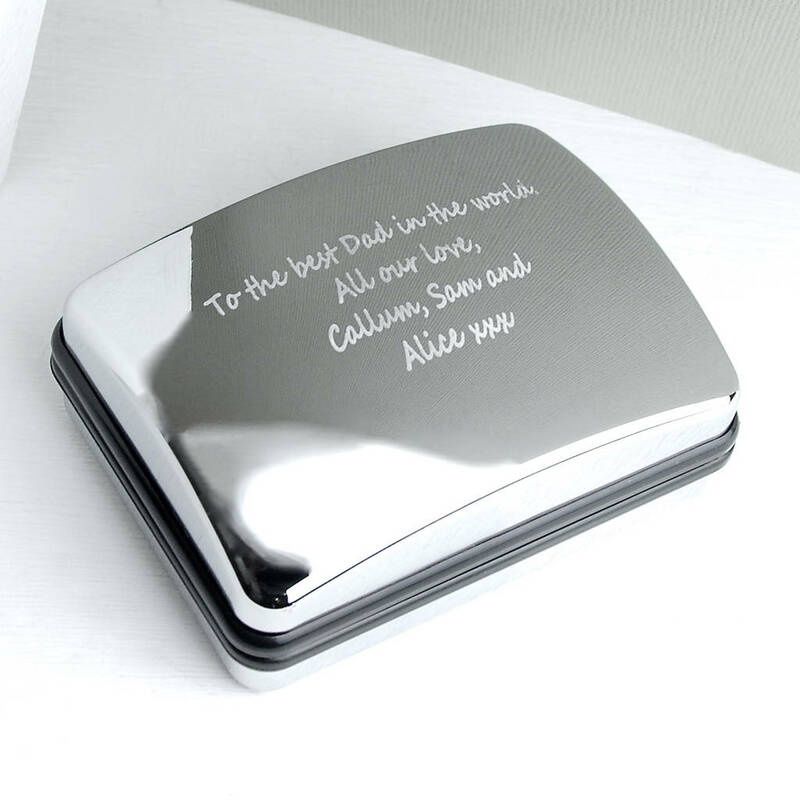 If a chromed box is chosen, this can be personalised with your message beautifully engraved on the lid to make an extra special gift. 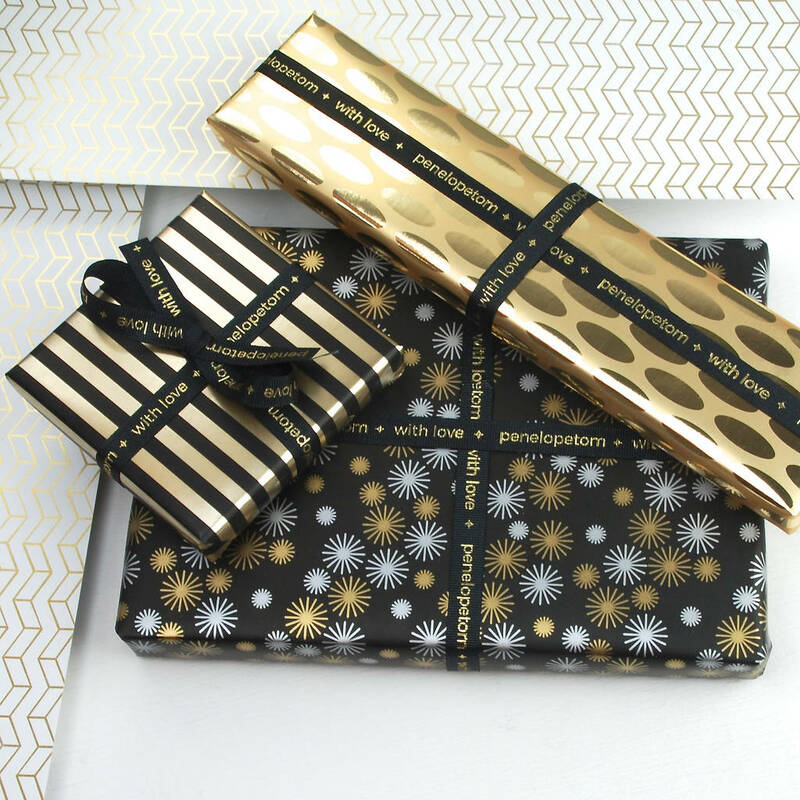 We have chosen a contemporary Segoe Script font for the engraving - however, if there is a particular font you would like, please let us know at the time of ordering via your customer order number. Polished silver rhodium with rose gold tips. Extremely hard wearing.